India and Indians are known for their deep belief in almighty. A country of million gods, India is also home to the most number of pilgrimages. In that sense North India especially the Himalayan region, is dotted with numerous temples, sites and pilgrimages which are very important to Hindus. The North India pilgrimage tour is the pilgrims way to spiritual bliss, a calling of higher significance. It is said that Himalaya is where the gods reside. Even a casual trekker or traveler footloose in Himalayas have experienced the spiritual bliss, the moments – when surrounded by mighty mountain peaks and rolling hills and valleys – when even the reality turns out to be abstract. No wonder most of the important pilgrimages including Kailash Mansarovar Yatra are nestled in mighty peaks of Himalaya. It is said that every undertaking deep and high into Himalaya is a spiritual quest and that may be the reason why this region is home to some of the most important pilgrimage destinations in India. Chardham Yatra (which include Gangotri, Yamunotri, Badrinath and Kedarnath), Panch Kedar, several Jyotirlingas and other revered shrines like Baba Amarnath, Mata Vaishno Devi, Neelkanth Mahadev and Hemkund Sahib are some of the most revered pilgrimages in North India. Here’s why people travel to Badrinath which is part of both Choota Chardham Yatra in Uttarakhand the the actual Char Dham Yatra comprising of Badrinath, Dwarka, Puri and Rameshwaram. In Jammu and Kasmir there are 2 important Hindu Pilgrimage destinations. One is Mata Vaiashno Devi and the other is Baba Amarnath Yatra which is organized every year by Amarnath Shrine Board. Trikuta Mountain (Adkumari and Bhavan) is believed to be the abode of Vaishnvai, an incarnation of Goddess Shakti. 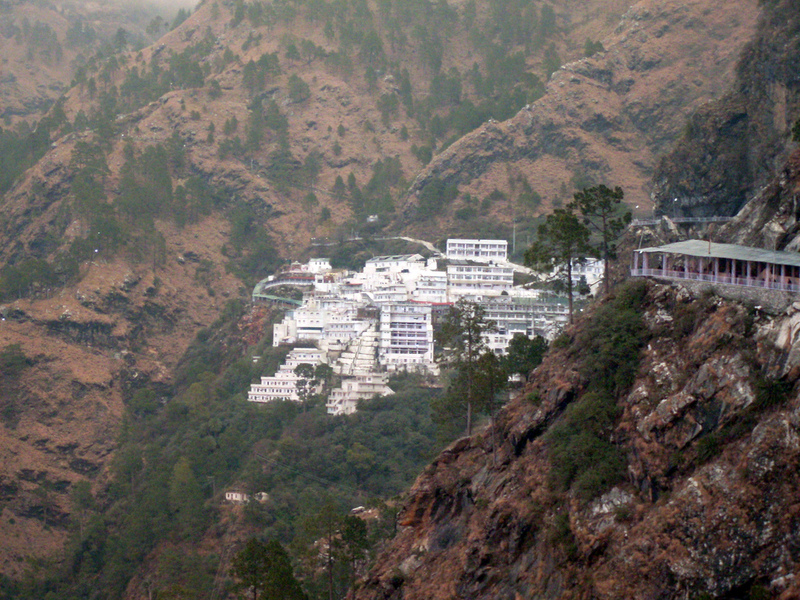 The holy cave is nestled in the inner part of Trikuta mountains. Maa Vaishno Devi yatra begins at Katra and pilgrims have to cover a 14 kilometer long journey on foot to reach the holy shrine. 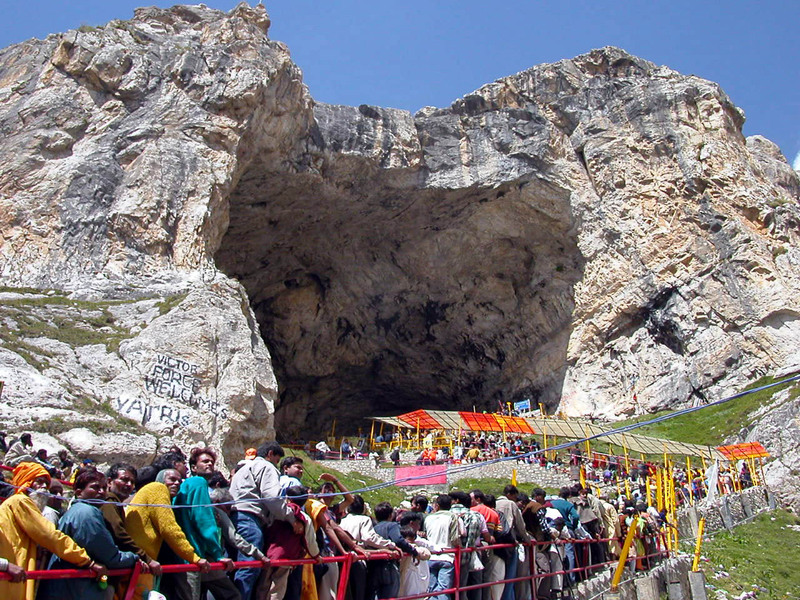 Amarnath Cave is believed to be the abode of Lord Shiva. The journey to this Hindu pilgrimage is undertaken in the month of Shravan. The main deity of Amarnath is Lord Shiva or Baba Barfani and there is a Shiva Linga made up of ice which waxes and wanes with the phases of the moon inside the Amarnath Cave. 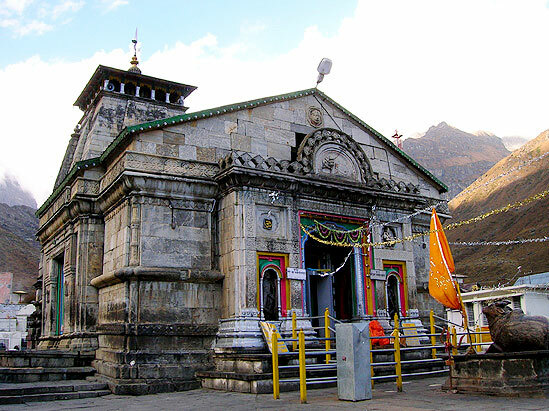 Char Dham in Uttarakhand (also known as Chhota Chardham) is yet another popular pilgrim tour circuit which connects four destinations – Badrinath, Kedarnath, Gangotri and Yamunotri. many pilgrims also do Do Dham Yatra which is a combination of any 2 of these 4 pilgrimages in Uttarakhand. It is belived that undertaking this important pilgrimage tour in North India washes away all the sins of the devotees and open doors for them to attain salvation. There are numerous legends and myths assosciated with these pilgrimage destinations comprising of Char Dham Yatra. One of the popular pilgrimage destinations especially for Sikhs all over the world is the ‘Golden Temple, Amritsar. The Golden temple also referred to as Harmandir Sahib is visited by millions of people. The beauty of this pilgrimage is that people visit this holy site regardless of the faith, religion, caste or creed they belong to. The four doors of Harmandir Sahib signifies the openness of Sikh community towards all people and religions. It is one of the reason why millions of devotees and travelers undertake Golden Temple tour every year. Yet another of important Sikh pilgrimage destinations in North India is the Hemkund Sahib. It is not just popular as a pilgrimage but also frequented by hikers, trekkers and campers who do it on their way to Valley of Flower in Uttarakhand. If you are interested in Sikh pilgrimages you may want to have a brief insight into sikh religion and the important Sikh pilgrimages.